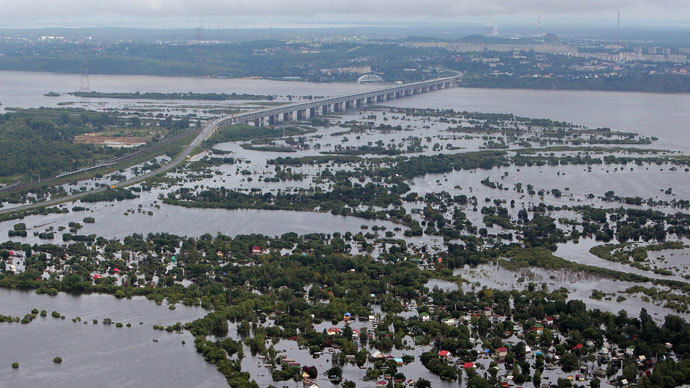 Heavy rains in the town of Izhevsk in central Russia flooded its streets, plunging hundreds of cars under water. The rain not only washed off the traffic, but also tarnished the city administration’s reputation as residents complained on social networks. 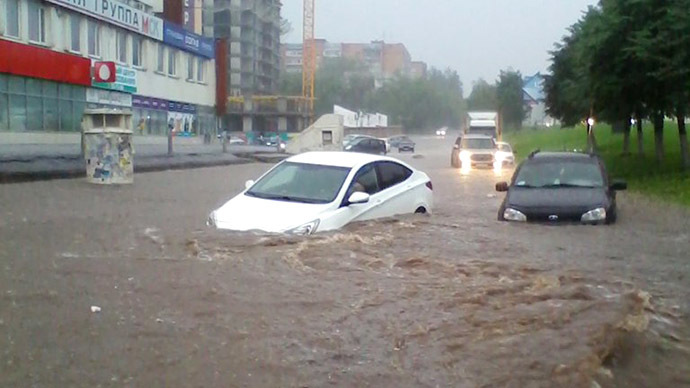 The rain began in Izhevsk on Friday, flooding several of the city's central streets and blocking traffic. 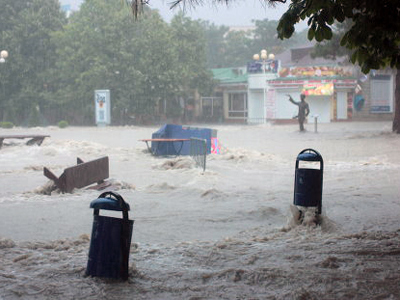 The city authorities said they were aware of the situation and later reported that public utility services had pumped out the water and cleared the roads of stones brought by the torrents. 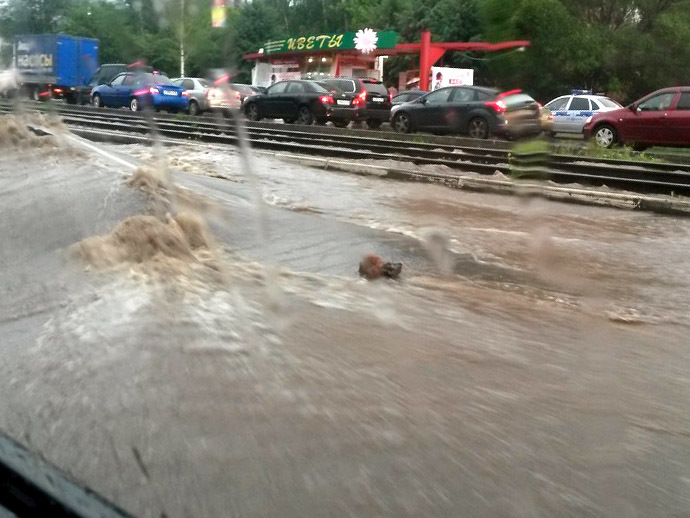 Still, on Saturday - only after half an hour of downpour according to Komsomolskaya Pravda - the roads in Izhevsk turned into rivers again. 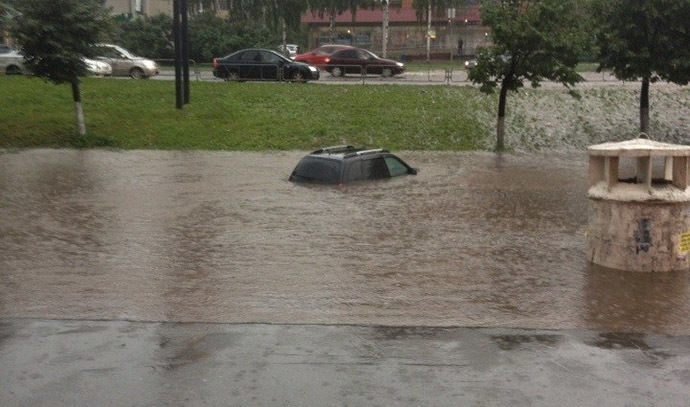 A local group on the popular Russian vkontakte social network was flooded with images of floating cars. 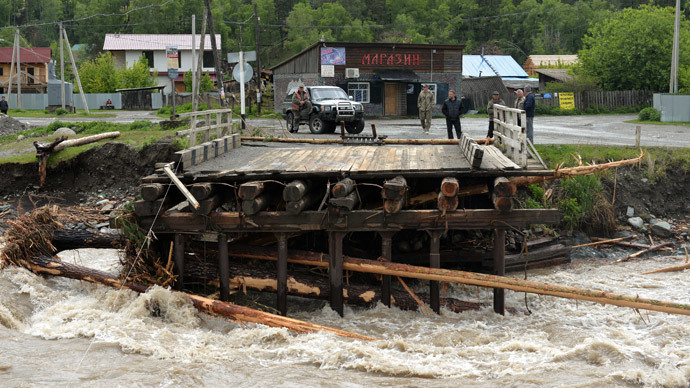 In some areas the asphalt from the roads was washed away. 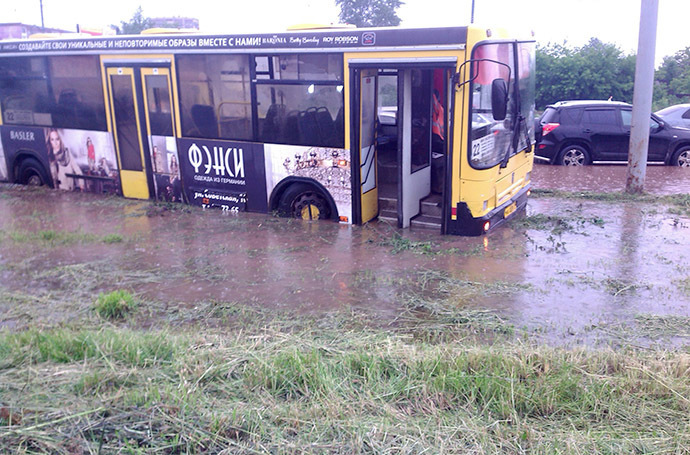 Several routes for public transport were closed. A shopping center was badly affected. 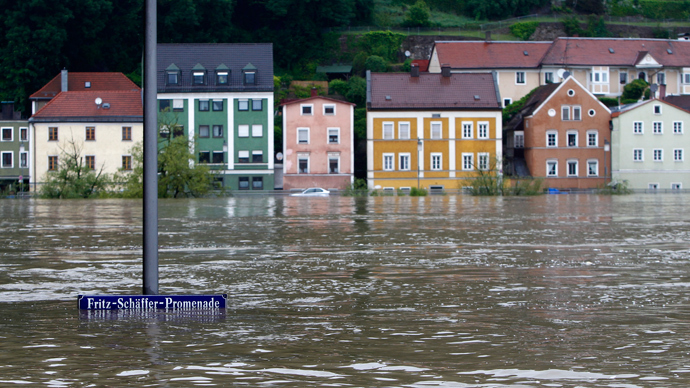 People had to swim to their cars on its parking lot, before their vehicles-turned-vessels totally submerged. Locals also said the eternal flame by a military monument in a city park was blown out by the rain. Gas odor in the park was reported to the gas emergency service. Its personnel later fixed the flame, saying it was a rare event for it to be extinguished. Pedestrians, who braved the outside, were affected too. They were surprised to see stairs leading to a city pond turned into a waterfall, and found some new ponds - right in front of their houses. 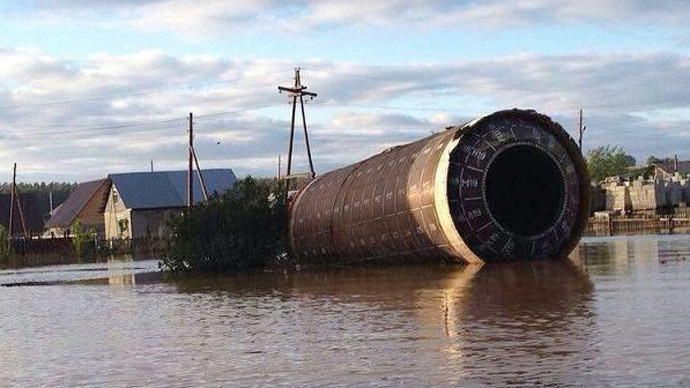 While people in Izhevsk posted pictures of the Noah's ark on social networks, debating whether it was time to start building one for themselves, regional news agencies reported they had not had any comments from the city authorities. Later on Saturday the National Crisis Management Center of the Russian Emergency Ministry took control over the situation in Izhevsk. 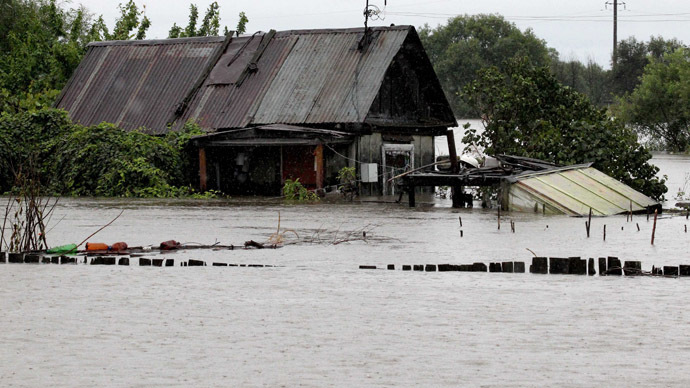 The rescuers reported that twenty residential houses were flooded in the city.